Nice hotel, staff all very welcoming, accommodating, polite, attentive eg walked onto private beach & staff member quickly set up deck chairs, umbrella. 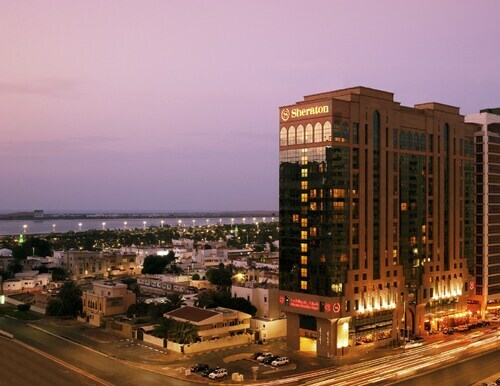 Located in Al Zahiyah, this hotel is within 1 mi (2 km) of Abu Dhabi Commercial Bank and The Corniche. Abu Dhabi Mall and Al Wahda Mall are also within 3 miles (5 km). 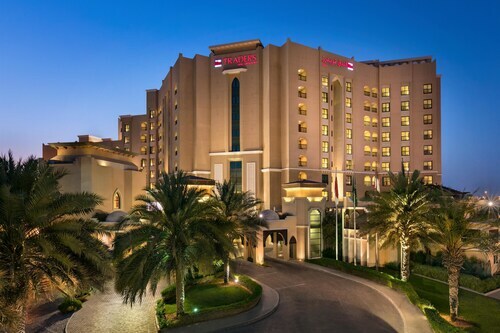 This family-friendly Abu Dhabi hotel is located near the airport, 2.2 mi (3.5 km) from The Souq at Qaryat Al Beri, and within 6 mi (10 km) of Abu Dhabi Ice Rink and Sheikh Zayed Grand Mosque. Dalma Mall and Mazyad Mall are also within 6 miles (10 km). Hyvä sijainti. Hiljainen ja siisti. Loistava ja avulias henkilökunta. 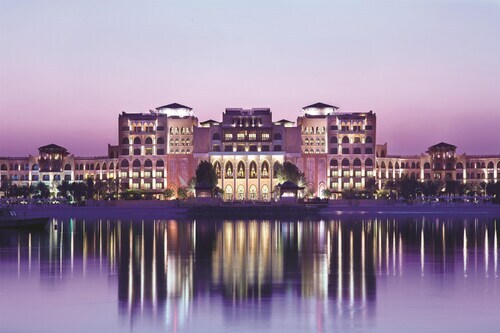 So, you're considering a holiday to Abu Dhabi? 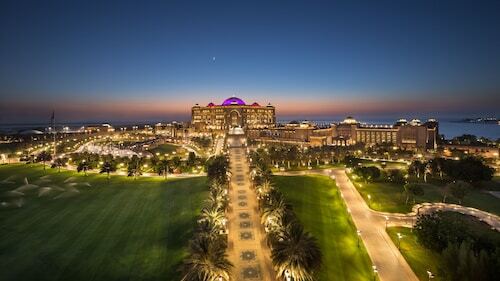 If you want to find accommodation that's close to the sights, you can enter your holiday dates and then use the filters beside your hotel search results to find a hotel near the area's attractions such as Louvre Abu Dhabi, Sheikh Zayed Grand Mosque and Abu Dhabi Mall. 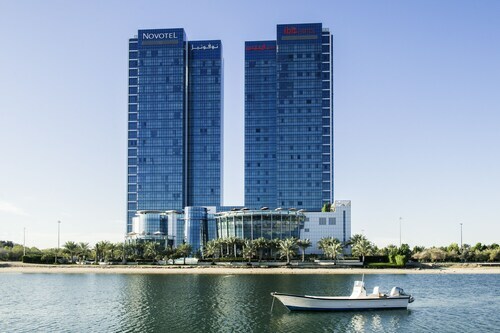 You can choose among 143 Abu Dhabi hotels and accommodation options to find a place to stay. 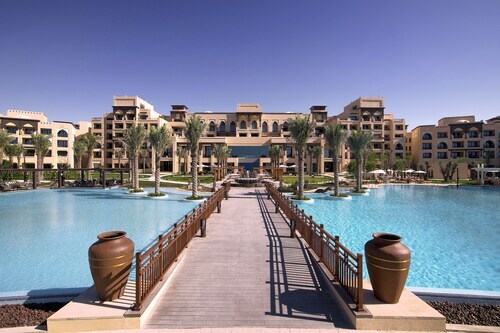 When you're deciding where to stay in Abu Dhabi, you'll be able to quickly and easily search ebookers for hotels offering services such as high-speed Internet, a swimming pool or free airport transport. You can use the filters to narrow down your hotel search, so you get the services that are important to you, such as an in-room kitchen or air conditioning. When making plans for your trip to Abu Dhabi, you can also use ebookers to search for a convenient flight to Abu Dhabi (AUH-Abu Dhabi Intl.) Airport. You can narrow down your search by number of stops, airline or departure time to find the one that works best for you. 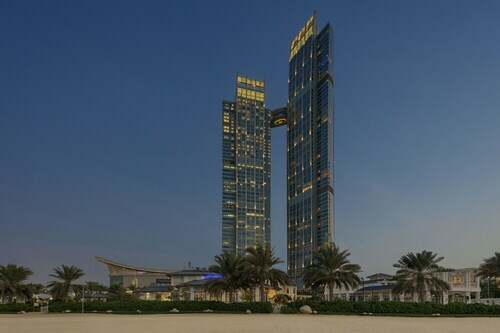 When is the Best Time to Explore Abu Dhabi? 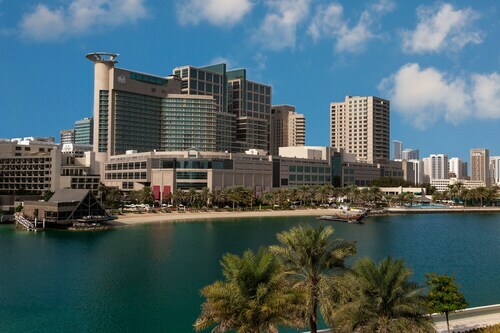 If you're wondering when is the best time of year to explore Abu Dhabi, you might find this info about seasonal weather helpful when planning your trip. 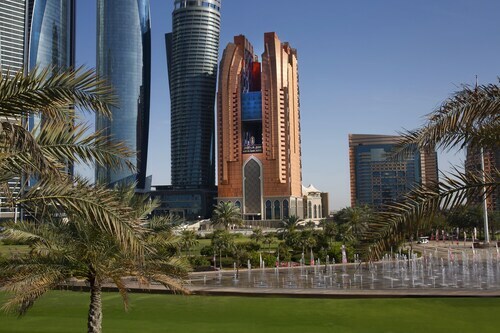 The warmest months in Abu Dhabi are typically July and August, whereas the coldest months are usually January and February. The months with the most rain are February and March, whereas December and January have the least. From January to March, the average daytime temperature is 30°C and at night it is 14°C. Seasonal average rainfall is 2 mm. Average annual rainfall in Abu Dhabi is 2 mm. Beach and pool area are exceptional - really lovely. It’s a shame you have to walk through an underpass to get there and the hotel itself has no outside space. But it’s worth the walk when you get there. The pool area has an adult pool and then three pools for kids which are shallow. It’s so well laid out and very safe for little ones. They loved the water slides!! The dining room is rather dark and needs a facelift but the food is good - we were on half board. The breakfast is very good and there’s loads of choice. The buffet dinner is not as varied as a lot of other UAE properties I have experienced but the quality is good. The staff are well meaning if a little dozy at times. There are several restaurants and there’s a jazz bar and nightclub. The nightclub was empty when we went there but the jazz club was more lively. The show was a bit cheesy but we are used to very high standards living in London. The restaurants are very expensive and we were glad we’d booked half board. Room service and food by the pool are also expensive so beware if you’re ordering fir a family. Housekeeping was accommodating. We had our three little ones in a standard room with us. A lot of hotels do t allow this and you have to book two rooms. They gave us 2 cots for our 2 year old twins and a mattress for our four year old. My husband suggested upgrading but there was no need. We had five clean towels each day and six bottles of water. All in all a good experience. . The hotel is misleading from outside as from outside it looks like 2 office blocks. 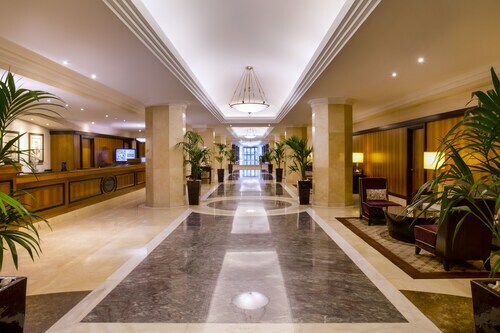 As soon as you step in you enter a world of regal luxury. Theres all these hidden areas that are decorated in beautiful regal colours. 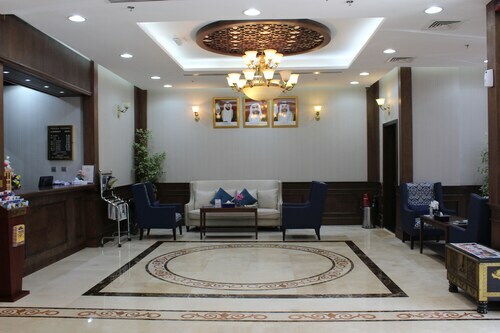 The rooms are beautiful, comfortable and extremely clean. The service is the best we have ever experienced. There is butler for each guest who is available 24 hours. They leave you treats in your room nearly everyday. The staff throughout the hotel are friendly, talkative and so welcoming, it feels like you've known them forever! They are always willing to go over and beyond and are so accommodating! Theres an amazing selection of food and restraunts that serve a great variety of food. The spa is amazing, huge Jacuzzi, steam and sauna room and a great relaxation room. The beach and pool is a short walk through the hotel but its like you ho from one world to another. We would definitely come back to this hotel not just because of the hotel and its facilities but mainly because the staff are the best! Always smiling, welcoming and the best service ever! Lovely property with scenic views. 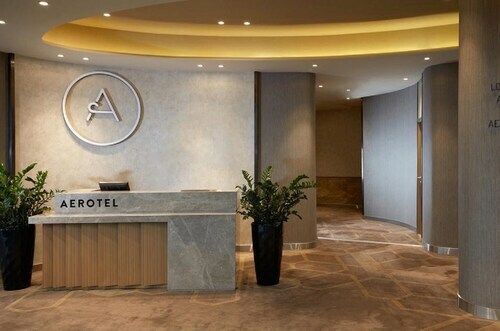 Luxurious room and helpful staff. Very Poor connection with the wifi and no one helps me with this problem.